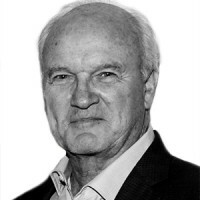 Mike Barnicle was a newspaper—remember them?—columnist at the Boston Globe for a quarter century. He is a political analyst and commentator on MSNBC’s Morning Joe, a keynote speaker, and often shares his knowledge of and passion for the game of baseball. For more, you can follow Mike Barnicle on Twitter, visit the Mike Barnicle Official Site, or watch his television appearances at Mike Barnicle TV.